Search engine optimization, or SEO for short, has kind of been this elusive concept with the end goal always being: “I want to be #1 on Google”. How you actually achieve that goal has changed over the last few years as search engines have improved their algorithms. In fact, being “#1 on Google” today means something totally different than it did 5-8 years ago, but we’ll save that for another blog post in the future. While Be Seismic is in the digital marketing business and offers SEO services, we know many people managing websites are just looking to get started on improving their SEO. And that’s what we’re going to help you with. 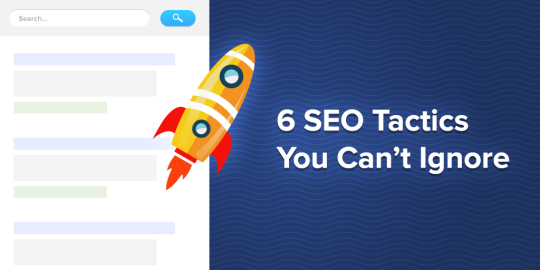 If you follow some of these tips and tricks and implement them properly, you should see an overall boost in how your website is ranking for certain keywords. A page title is one of the most important things on your website that search engines look at. This is the first thing your visitors will see before visiting your website, and if it’s not setup properly, you’re likely not even ranking for search queries that your competitors are ranking for. This should be set in the <head> section of your webpage, and you’ll use a <title> tag. If you’re using a CMS like WordPress, you can take advantage of the Yoast SEO plugin – this plugin makes it way easier to manage your meta tags. I encounter way too many websites that don’t set proper page titles. This is especially important on your home page. In the first example, this is a common WordPress default setting. “Website Name – Page Name”. In this case, your home page title doesn’t include any relevant keywords or information about your business or website. The second example shows what a local AC/HVAC company might use for their title. A few key things it includes: Company Name, Primary Location, Industry & Services. Your titles should always stay around 60 characters. If you’re having trouble coming up with keywords, start with what you might search to find your competitors. You can use tools like Google Keyword Planner to find alternative keywords to use as well. This is where you get 150-160 characters to give some more detail about your webpage. When you set one for your homepage, it should be about your business and again, should include your keywords. Like the <title> tag, this will be in the <head> section of your website, but you’ll use a <meta> tag instead. Head over to W3Schools for an example of how to set this. A relatively new aspect to SEO is something called “structured data”. Google, for example, is changing the way they display search results every day. The best way to prepare your website for future changes is by offering the content on your website in a way that is easily understandable by the Google search robot that indexes your website. You’ll also notice that it offers ways for your page result to stand out from others. For example, if you have testimonials on your homepage, you can also include structured data and Google will display that below your search result. Google Developer has great documentation on how to integrate this on your website. If HTML isn’t your thing, take a look at this awesome structured data generator tool, you’ll just need to copy and paste! You can also look for a plugin for your CMS, although I didn’t find one that I really liked for WordPress yet. If you’re using a CMS like WordPress, then you’re in luck, your URLs are probably not too far off from being perfect already. If not, your URLs likely have “.html” or “.php” at the end, this is perfectly fine, you’ll just need to ensure that you update all of your file names. It’s important to include keywords in your URLs, for example: when searching for “scottsdale hvac repair”, Google will consider your title, description, page content and URL (along with tons of other factors). If you have a landing page for a specific city on your website and the URL is “http://example.com/page2.html”, it won’t include any of the keywords that your visitors are searching for. This is the exact opposite for our other URL, by making the URL of our landing page: “http://example.com/scottsdale-hvac-company”, we add important keywords while still keeping it readable. Put your headings and titles that have keywords in heading tags, like <h1>, <h2>, etc. Make sure you only use one <h1> tag per page. This should include your most relevant keywords. You shouldn’t be wrapping entire paragraphs in heading tags. Reserve heading tags for shorter titles and important headlines. Make sure your <img> tags have “alt” attributes. Reach out to local news websites. If you’re a professional in a specific industry, you can offer quotes of your opinions or expertise in exchange for credit and a backlink in an article. Search for websites that already mention you or your website. By doing some digging and finding anything that mentions you, it’s best to ensure that you’re also receiving a link from that website. Consider reaching out to whoever runs the website and asking for a backlink next to where you’re mentioned. Make sure your page content includes relevant keywords. This has to be done in a natural way, search engines can tell when you plaster keywords everywhere and will end up hurting your ranking in the long run. Write blog posts for your potential customers. Determine what traits your customers have, and what they might be interested in reading and sharing on social media. Stick to shorter posts with lists. You probably have a lot to say about the industry you’re in, but when it comes to blogging, less is usually more. Readers typically prefer list style posts with concise headlines followed by an image and a paragraph.